Yoeli was born and raised in Eretz Yisroel. 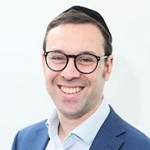 Now lives with his family in Golders Green, is a governor at Peninim school and works in the food-catering industry at Reichs. 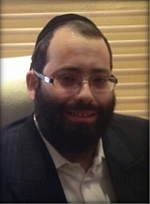 Yoeli is well known for his generous heart & optimism which has been so instrumental in founding Legadel. 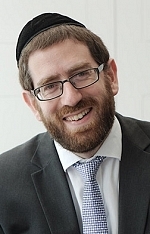 Shani was brought up in Stamford Hill and educated in Lubavitch Primary and Secondary school. 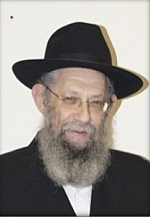 After attending Old Gateshead Seminary she married Mr Moishe Lisser and settled in Golders Green. 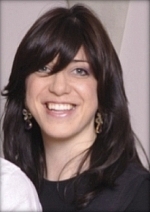 After many years in the Shaitel industry Shani joined her husband in his business, Hermolis. Shani’s passion is helping ‘at risk’ children and their families rehabilitate and has to date fostered many children whilst raising her own. She has nurtured the children and their parents through the process and is proud of the change she sees thereafter. 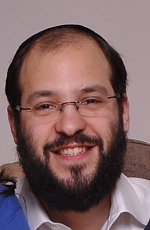 Shani is also a member of the Chevra Kadisha, birth support coach and a Co-founder of Chana. Shani has joined the Legadel trustee team as a mentor for parents who are struggling to function as they bring up their children. In instances where families are noted to need input themselves Shani will offer support and assistance. Cynthia is a speech and language therapist who works with children of all ages who have difficulty with their communication, thinking skills and with learning in general. Her approach is child-friendly as she believes that in order to learn, a child needs to have confidence and hope. Cynthia has worked as a speech and language therapist in Israel and South Africa and most recently in London for the NHS and in private practice. She is a fluent English and Hebrew speaker. Cynthia holds a BSc from Tel Aviv University and a Masters from City University, London in speech and language therapy. 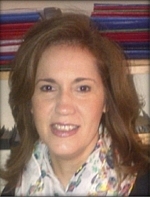 She holds an additional master in teaching English as a second language from the Institute of Education. Cynthia is trained in the teaching methods of Prof. Reuven Feuerstein of the Feuerstein Institute in Jerusalem. Jodi Kelly has many years’ experience and knowledge of speech, language and literacy therapy and, after qualifying in The Spalding Method® in 2005, joined the Spellit Practice, where she received additional training from Vicki Selwyn-Barnett. Jodi’s role within the Spellit Practice is in the capacity of Specialist Literacy Practitioner where, in addition to successfully teaching The Spalding Method®, she uses a specialist handwriting scheme. 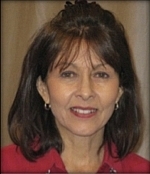 She has been instrumental in developing Spellit’s unique Four-Phase Literacy Program in conjunction with Vicki Selwyn-Barnett. As the Specialist Literacy Practitioner for the Spellit Practice, Jodi has developed excellent working relationships with Special Educational Needs Co-ordinators and attends a number of local schools on a regular basis. By offering individual assessment and treatment programs, Jodi has achieved excellent results (with a high referral rate) in the remediation of children with literacy difficulties and dyslexia, particularly involving handwriting development, reading fluency, sentence structure, creative narrative and spelling. Jodi is committed to continued professional development through training courses and special needs conferences and to helping children with a wide range of literacy issues. Faigy is a Hebrew reading specialist teacher. 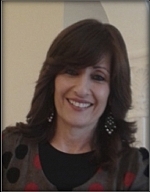 She holds a diploma from the Advanced Study Centre Jerusalem in “Reading methods”, as well as being trained and mentored by Nava Rozin in assessing and reading remediation for mild/moderate learning difficulties. Faigy is committed to constant professional development through training courses in the UK and abroad (USA and Israel). She works mainly with children in the primary school ages that are having difficulty catching on to the reading taught in the main stream class. 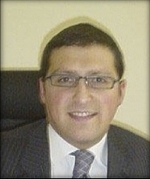 Faigy has worked in Jerusalem and London in various schools and on a private basis. 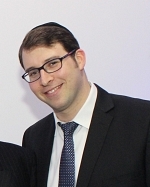 Faigy has setup Hebrew reading support programs in schools, thereby training and mentoring other teachers. As a senior school teacher, David encountered a range of adolescents whose educational needs were not adequately met or identified in their early years at school. David decided to further develop his knowledge and skills in this area and enrolled and trained as an Educational Psychologist with the University of East London and with the Educational Psychology team at Norwood/Binoh Children Services. Since March 2011, he has been working independently administering psychological assessments covering cognitive, behavioural, social and emotional aspects of development as well as multi-agency work with other professionals and working with school staff & parents in a consultative capacity. David has a BSc. (Hons.) in Psychology from the Open University and holds a Professional Doctorate in Child and Educational Psychology and is registered with the Health Care Professions Council & chartered with the British Psychological Society. David feels privileged to be part of this wonderful community initiative and work collaboratively with Legadel’s multi-professional team.